Welcome to the multi-award-winning world of father-and-daughter team, Paddy and Emma Clarke. Now firmly established among the top tier of Ireland’s wedding and portrait photographers, Paddy and Emma always deliver a special magic. When Paddy, one of just a handful of wedding photographers to become an Associate of the Irish Professional Photographers Association, gets behind the lens, he captures all the fun, the joy and the solemnity of your big day. 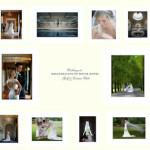 Paddy’s memorable wedding images allow you to relive the magic of the event again and again. Commenting on Emma’s widely acclaimed portrait work, one national judge said: “I have rarely come across this kind of originality.” When Emma gets behind the lens, you know to expect the unexpected. Their studio, in Dundalk is one of the finest in the country, complete with private wedding room to discuss your magical day and a state-of-the-art viewing room complete with projector to select your pictures. Paddy and Emma use the latest computer technology to ensure all your pictures are to the highest possible quality. The studio is located at 13 Jocelyn Street, Dundalk, County Louth, where Paddy and Emma, have the best access to all the surrounding towns and villages in the North East, so loved by many brides and grooms, including Carlingford, Drogheda, Newry, Ardee, Carrickmacross, Meath, Navan and Cavan. 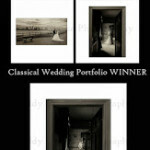 This website allows you to view their award winning photography, some recent example weddings and where Brides, Grooms and wedding guests can purchase wedding day images online from anywhere worldwide. 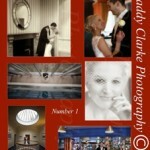 For imaginative flair in your portraits and on your wedding day – it’s got to be Paddy and Emma Clarke.